Add a dose of style to your room with this set of bed sheet and pillow covers. It is tailored with care using a premium quality fabric that promises to provide a soft touch against your skin. 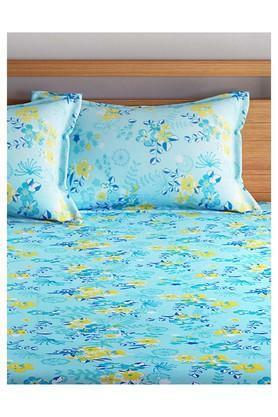 Moreover, it flaunts a floral print pattern that adds to the elegance of your bedroom. Dimensions: Bed Sheet - 229 x 274 cms, Comforter - 229 X 254 cms, Pillow Cover - 46 x 71 cms. 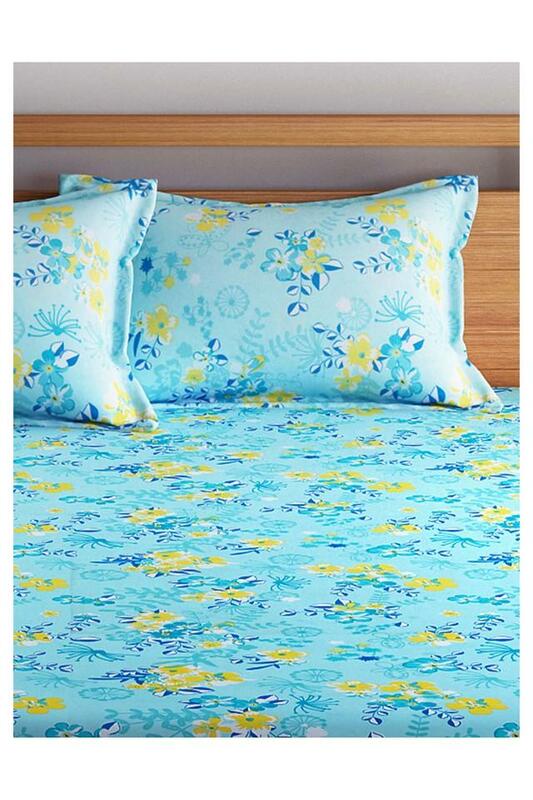 If you are in search of a new bed sheet, then check out this one from the house of Swayam, which also comes with pillow covers.